The Summit County United Brewers Alliance (S.C.U.B.A.) includes anyone who brews beer professionally in Summit County: The Dam Brewery, Pug Ryan’s, Breckenridge, Broken Compass, Bakers’, Backcountry and even the soon to be Angry James brewery. Not only do we get together and brew beer together, we also get together and ride bikes, drink beer and have fun. Amazingly we all have similar interests and get along pretty well. It fosters a great sense of comradery and we are always helping each other out with ingredients, equipment, and brewing advice. We all want each other to succeed and brew great beer so the rest of us can drink it. To come up with the recipe for the Dubbel it starts as an unorganized bunch of emails throwing around ideas and discussing what the beer will be. Eventually we come to a consensus, fortunately someone will take notes, and then we will meet a few times. Lastly, we get together at one of the breweries and brew the beer. Each brewery contributes ingredients. That’s always a fun day where we get to see how another brewery is run, you end up learning a lot from just hanging out, drinking beer, brewing beer, and talking about beer. This is a Trappist beer. The Trappist order originated in the Cistercian monastery of La Trappe, France. If we brew a beer with a Trappist yeast, we are brewing it in the style of the monks of one of the 11 Trappist monasteries. The yeast that we use when brewing these beers has been developed by these monasteries over hundreds of year and luckily it made its way overseas to us so that we can incorporate their yeast into styles that we enjoy. 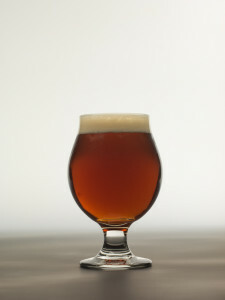 The SCUBA Dubbel was brewed at Bakers’. We ration it out between the breweries, the Rock For Rescue fundraiser for Search and Rescue, and Collaboration fest. The next collaboration brew will probably take place in late spring.